We have everything you need to start building your dream home with vinyl siding. James Hardie siding has innovative siding that will increase the beauty and value of your home. 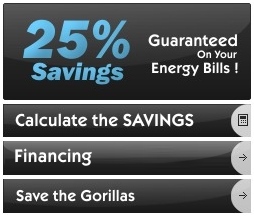 Make Gorilla Windows your one-stop source for Charlotte replacement windows. At Gorilla Windows, we offer the best quality replacement windows in Charlotte as well as installation - all guaranteed by friendly, experienced service you can rely on at every point. Throughout Charlotte NC and surrounding areas, our no-nonsense approach is winning over more customers each day. If you want a great value on your Charlotte window replacement project and you have had less than pleasant experience with our competitors, then you have found the right company. Energy efficient. With our replacement windows, you are going to enjoy lower energy bills and higher comfort. Their innovative design keeps heat out throughout the summer time, as well as heat in during the winter. In addition, we provide home windows in every style, shape, and size - each customized and skillfully installed by our experts for a precision fit. Maintenance free. Designed for supreme performance and strength, our replacement windows are easy to clean. Just tilt them in and wipe off effortlessly from inside. It could not be easier! Adds value to your house. By choosing our replacement windows, you are making a long-term investment that will provide a strong return on resale value. Affordable for everybody. With Gorilla Windows – A Charlotte Replacement Window Company, you can begin by doing as much or as few vinyl windows as you want. We will even lock you into your value price for all those future purchases. Don't let your old home windows keep costing you energy savings. Replace them affordably and efficiently today. Are your old windows not your style? Are they starting to stick and difficult to open? Are they not energy efficient, allowing heating and air to escape and costing you lots of money? Gorilla Windows offers Charlotte Replacement Windows, Charlotte Siding, Gutters, Patio Doors and Charlotte Roofing. Want to learn more about our competitive pricing on durable replacement windows and doors? Call our replacement windows specialists at (704) 333-2737 for more information, or browse our website for a free quote on your new replacement windows.